1981 Topps Traded Baseball isn't the first update series Topps did, but its format and distribution launched a revolution. 1981 Topps Traded introduced the 132-card box set that captures the season's rookies and offers an updated look at key veterans switching teams. Although this first set isn't wildly popular, it's nonetheless an extremely important release for the hobby. The design of 1981 Topps Traded Baseball mimics that of the regular 1981 Topps Baseball set, which is notable for its baseball cap icon on the front. Numbering continues on from where the base Topps sets left off, starting at 727 and running trough 858. Among the traded players in the set are Carlton Fisk and Dave Winfield. Most of the first-year players in 1981 Topps Traded appeared on multi-player cards in the base set. As a result, there are very few actual rookie cards. 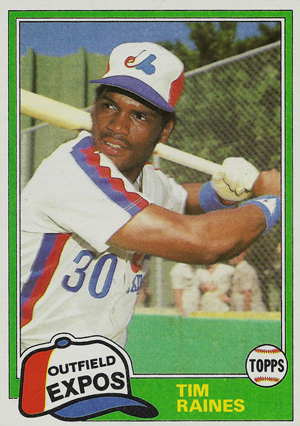 Instead, 1981 Topps Traded has the first solo cards for many players, including Tim Raines and Fernando Valenzuela. One of the few rookies in the set is a curious one: Danny Ainge. Yes, that Danny Ainge who would go on to play 15 NBA seasons before moving up to the front offices. Sold as box sets, 1981 Topps Traded was available to some of the hobby's first dealers. In an era before the Internet, this would have made it difficult for many collectors to get hold of them. Today, though, sets are readily available online and very reasonably priced. 132 cards. Numbering continues on from where 1981 Topps Baseball finished off. Here are the top 5 deals on sets currently listed on eBay.